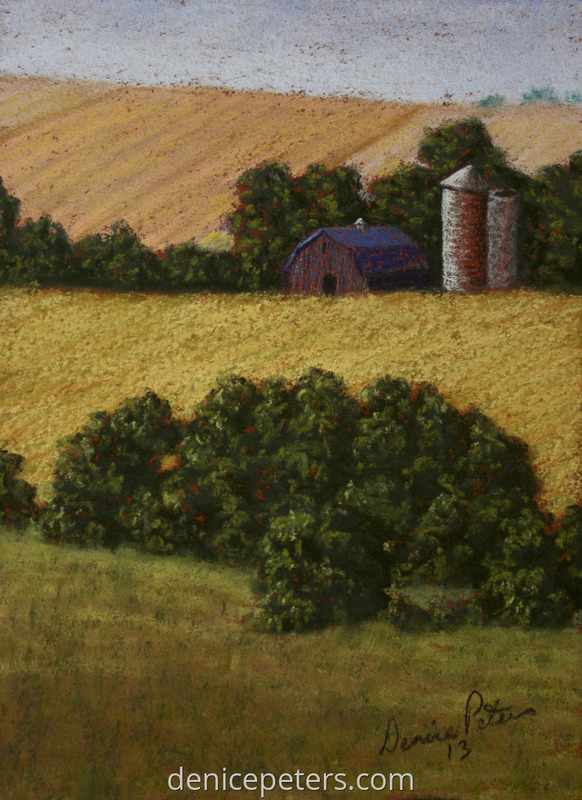 This a mini painting of a farm scene near LeMars, IA in the late day light. I love the glow it gives. It's a 5" x 7" pastel.